Located in the Southwest portion of the Province of Cavite, Alfonso is a quiet and peaceful town next to Tagaytay city heading towards Nasugbu and Lemery in Batangas. But this year, we found another resort that is nestled deep into the outskirt of Alfonso, Cavite, The TIERRA MONTEPHINE. A beautiful and scenic spring resort that is ideal for every occasion with families, friends, and colleagues. When you arrived at the resort, you will be walking down quite a few steps into the lush green gardens of Tierra Montephine. And to create more fun and excitement, they added a hanging bridge which we all enjoyed swinging it. This also serves as the entrance to the main resort of Tierra Montephine. When we arrived, we were astonished with the stunning landscape of Tierra Montephine. It was surrounded by palm trees and all you could hear was the sound of birds which was very pleasing and relaxing to our ears. We also rented the resort all to ourselves. They have two swimming pools where one is for the kids and the big infinity pool for adults. The adult pool is not very deep which I found much safer specially for those who cannot swim. And since the water comes straight from a stream just outside the resort, there is no smell of chlorine which is very good. Aside from the natural water flowing into their swimming pool. They also created a beautiful man made lake where guests can enjoy boating. They also have cottages in the area if you want to protect yourself from the Sun.Or, If you like to get a tan lounge beds are also available in the resort . Next to the resort, you can go down to the stream where the source of clean water is coming from. When visitors arrived, they lift up that small log that controls the flow of the water, creating a mini waterfalls which my colleagues and I enjoyed a lot. They have a big pavilion that serves as a function hall, where you can hold your meetings and other programs. Videoke is also available in the pavilion. Aside from swimming and boating, there are also other activities that you can do inside Tierra Montephine. They have table tennis, billiards, and even zip line . Tierra Montephine together with it’s beautiful landscape really was a nice find. The location, scenery, ambiance of the place really made this resort worth visiting. I’ve been receiving messages that the phone numbers are very unresponsive. 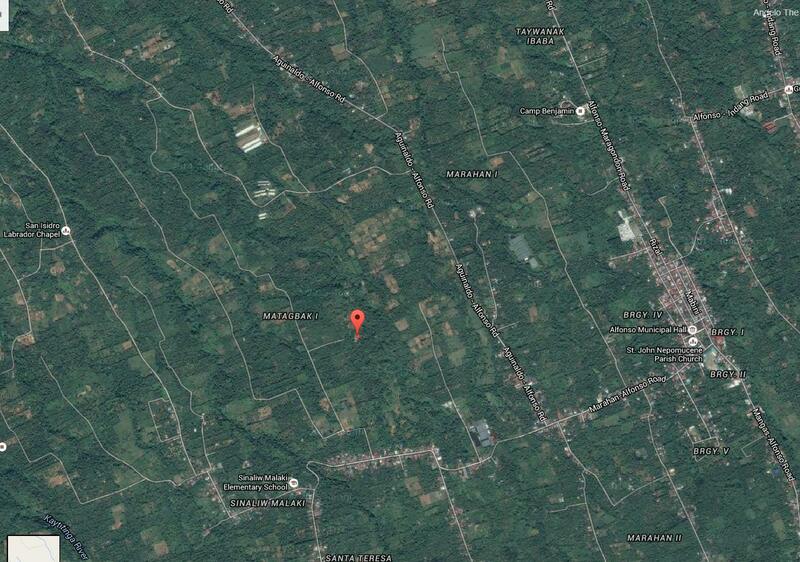 So I looked on the map and found out that the resort is located in Matigbak I. 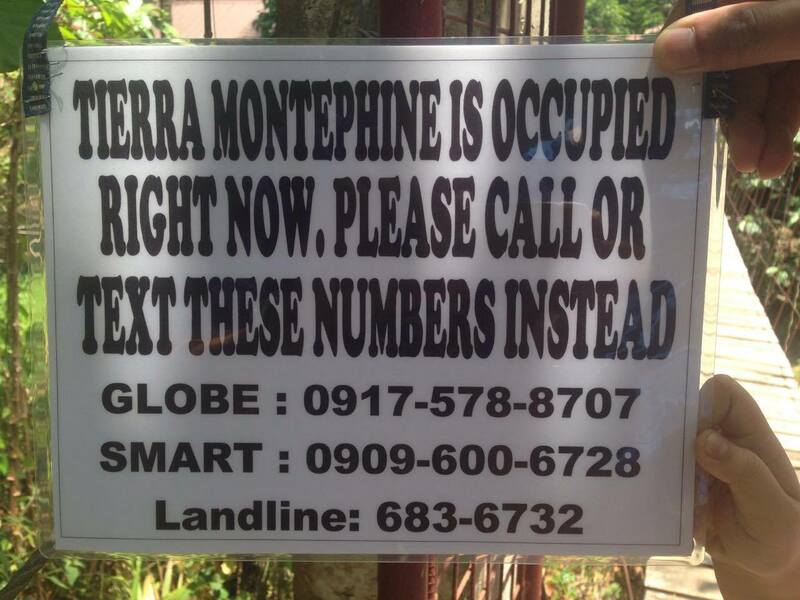 Updated contact numbers: Credits to Sir Bryan Lim for photo. Swimming pool, kiddie pool, basketball court, play ground, club house, billiards table, table tennis, videoke and sound system, kitchen-dining place, two small cottages. A good place for nature lovers. Hi… I would love to go to this place but why can't I see any site or page available for this location? Yes they don't have a page. I really don't know as to why. This place is hidden somewhere in Alfonso and the best thing to do is to phone them. Hi, just want to ask regarding the rate. What do you mean by 6K? is it like you're renting the whole place like a private resort?? meron po ba silang ibang mobile number? or email address? pwede po bng lima lng tapos magkano po pag pwede? Hi would like to know their phone number so we can phone them for reservation. Thank you. ung 6k po for whole resort? ung food po bibili po sa kanila or pwde pong magdala?